Yes, you can! Maria’s favorite recipe is very easy to prepare and can be made within 30 minutes. The soup is very tasty: creamy without any dairy and very healthy. The only downside is the smell while cooking, but the cauliflower sure makes up in nutrients. Make sure you don’t overcook, to keep most of the vegetable’s vitamins. 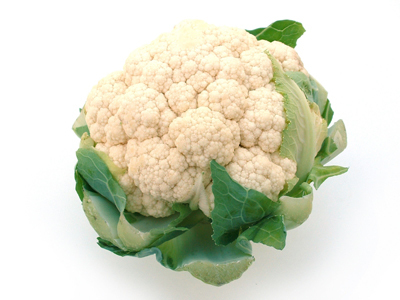 Go for an organic cauliflower with white heads, and crisp green leaves. The whiter, the fresher. Cut off the individual florets from the central stem of the cauliflower and cut again if necessary. The florets should be of the same size, so they all cook evenly. Steam or cook the cauliflower in 5-10 minutes. During cooking or steaming you can test with the tip of a knife to make sure they don’t overcook. Purée the cauliflower in a food processor or with a blender. Slowly pour in the stock and bring to a boil. Season with salt and pepper, and return to a simmer. Pretty it up with a swirl of truffle oil and scatter the croutons on top. Serve the soup immediately.